The revised Alberta Municipal Government Act (MGA) that came into force in October 2017 requires municipalities to implement a Public Participation Policy by July 23, 2018. Engagement is a valuable tool that municipalities can use to better plan for their community’s future and build trust with municipal stakeholders. Creating a policy that is functional rather than formal will provide your municipality with a useful tool that has real value for your administration. To achieve this, you need to engage municipal stakeholders in its development. TSI has developed a Public Participation Policy template that focuses on functionality over formality and is offering it to municipalities at no cost. If you work in a municipality in Alberta you have likely heard about the new requirement under the revised Municipal Government Act (MGA) for municipalities to implement a Public Participation Policy by July 23, 2018. While many municipalities have started the process already, the timeliness of this conversation and a looming deadline had the Public Engagement Team at TSI considering what makes a good Public Participation Policy and how we can support our clients with this new MGA requirement. To assist municipalities in the development of a public participation framework we decided to launch a blog series on public engagement. In our first post of the series, we aim to provide you with some ideas and resources to help your municipality develop a meaningful and useful policy for your community. As public engagement experts, we see the value that governments, companies and service providers can receive through strategic stakeholder engagement every day. Not only can public participation provide municipalities with the information they require to make decisions that meet the needs of their communities now and into the future, it can help build relationships between Administration/Council and the public, fostering an environment of trust. Recognizing the importance of public input to municipal decisions regarding services and infrastructure, the Government of Alberta now requires municipalities to have public participation policies that outline how each municipality will approach this process. 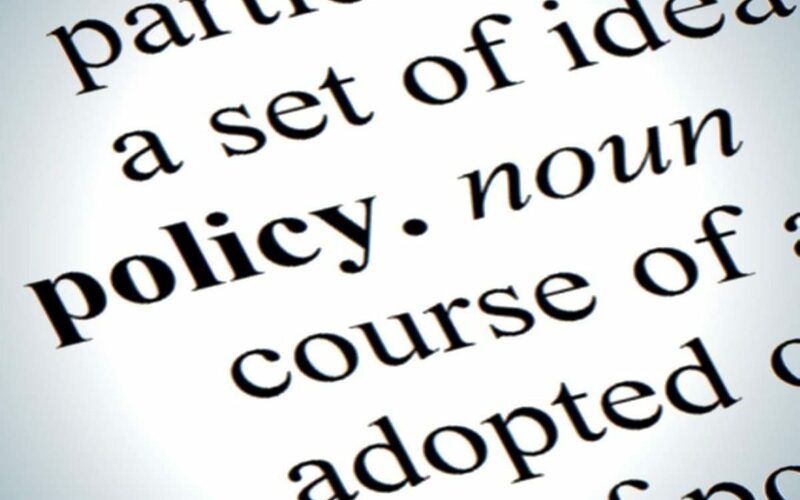 These policies must identify how and when municipalities will engage municipal stakeholders, be made publically available, and be reviewed every four years (see Section 216.1 of the Municipal Government Act and the Public Participation Policy Regulation). Understand how and when municipal stakeholders want their municipality to engage with them. Identify tools and communication channels the public will use to connect with and provide feedback to Administration and Council. Create a policy that goes beyond checking the formal policy box and becomes a valuable tool for the municipality moving forward. To achieve these policy goals, you need to engage your public as part of the policy’s development. Having advanced, two-way dialogue with residents regarding the Public Participation Policy demonstrates that the municipality’s leaders truly value the public’s input on governance matters. This not only builds trust, it fulfills the spirit and intent of the new MGA requirement and produces a policy that is useful and relevant to the public. Involving residents early on ensures that your policy will not just be another governance piece sitting on the shelf, but that it has the public buy-in that is required to keep the engagement momentum going. If you are just getting started on your Public Participation Policy, the AUMA and AAMDC, in partnership with Brownlee LLP, have compiled a great resource to support the process. The Public Participation Policies and Public Notification: A Guide for Municipalities can be accessed on the AUMA MGA Change Management Resources webpage, here. Not only does this guide provide an overview of the requirements, it also provides draft templates for both the policy and a Public Notification Bylaw that allows for alternative advertising methods for providing notice to the public. TSI has also developed our own Public Participation Policy template that is rooted in our hands-on experience with public engagement and municipal administration. This template is tactical in nature, allowing it to be easily actioned while meeting all MGA requirements. We would be happy to provide this template to you at no cost. If you are interested in receiving a copy, please send us an email at solutions@tsi-inc.ca. Stay tuned for parts 2 and 3 of our engagement series where will discuss how to put your policy into action through the use of toolkits, procedures, well-trained staff and adequate resources, and TSI’s tips and tricks for how and when to engage the public.